2 What Is the Meaning of a Ring on the Right Hand? 3 What Is a Friendship Ring? A promise ring symbolizes a couple's commitment to one another and comes before an official engagement. It represents unity, monogamy and the promise of a future together. The finger on which someone chooses to wear their promise ring indicates the level and type of commitment. Promise rings have been popular love tokens since the 16th and 17th centuries, symbolizing love and the prospect of marriage. The term "promise ring" has only been around since the 1970s; before that they were called betrothal rings or posie rings. A promise ring may be presented to a lover or friend for any reason, not just for a promised future engagement. Friendship, abstinence and religious promise rings are also worn and exchanged, and these types of rings are always worn on the right ring finger. Any ring can be worn as a promise ring, although diamonds and colored stones are very popular choices. Engraving initials into the ring's band is a common practice. Pre-engagement promise rings are traditionally worn on the left ring finger, and the promise ring is moved to the right ring finger when an engagement ring is presented. People who do not want the ring confused with an engagement ring may choose to wear a promise ring on their right hand. 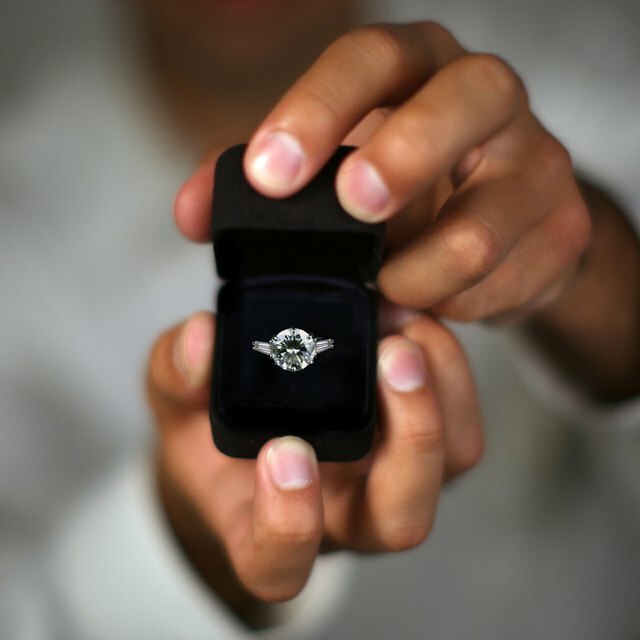 When presenting a loved one with a promise ring, one's intentions must be clear because a promise ring can mean many things, including a promise to marry, a declaration of love, a promise to save one's virginity for their future spouse, a promise to be faithful or a promise of friendship. One should take meaning into consideration when deciding on which finger to wear the promise ring.